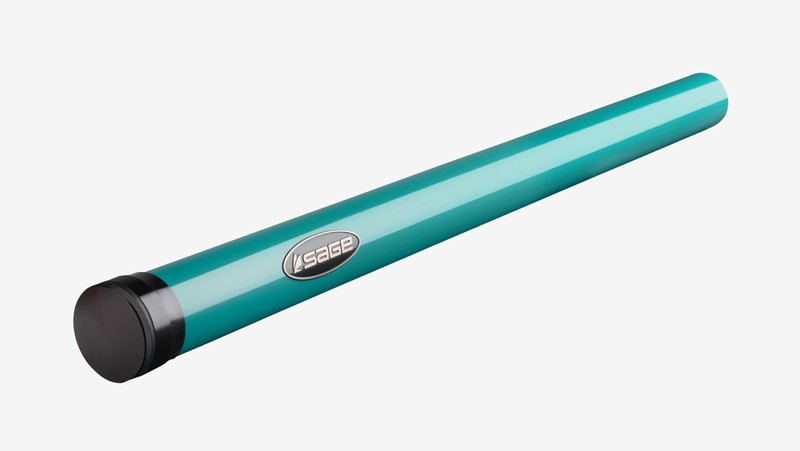 The Sage X fly rod marks Sage�s 10th flagship series of rods and features their new KonneticHD technology. 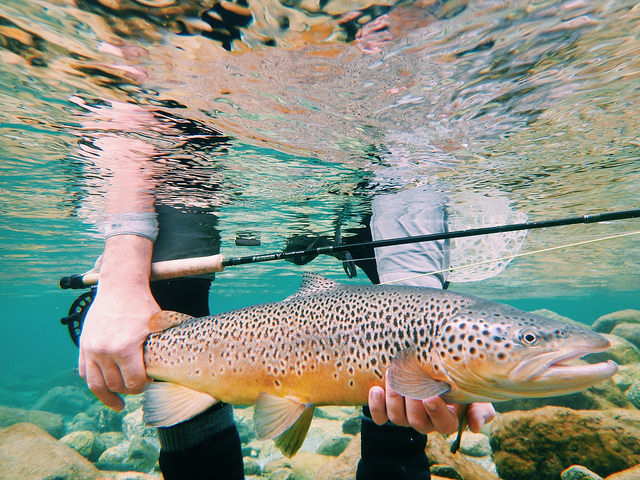 After 10 generations of fly rod technologies, it is no question that Sage is one of the finest fly rod manufacturers in the world due to their constant innovation and delivery of top quality product time and time again. A QUICK RECAP: The Sage One debuted Sage�s Konnetic Technology. If you haven�t heard of this, or haven�t fished a Sage One, Konnetic Technology is Sage�s way of precisely positioning Carbon fibers in their fly rod blanks to create a slimmer profile and a more efficient energy transfer through the rod. In other words, when you cast a �non-konnetic� fly rod, the blank will not only move back and forth, but also side to side. This is due to the placement of the fibers within the blank; if the rod is moving side to side during a cast, and not just forward and backward, you are losing energy, therefore being less efficient, and your accuracy and distance suffer. 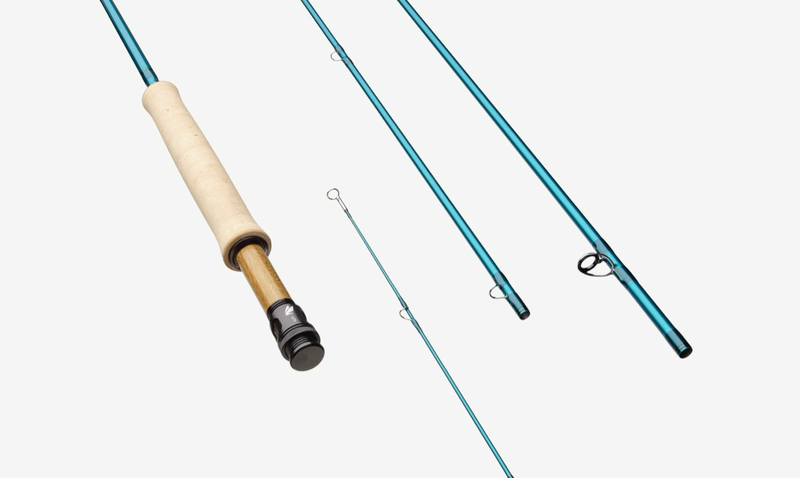 Konnetic Technology lays carbon fibers alongside one another in a straight line down the fly rod, so side-to-side movements are significantly decreased. So, what is KonneticHD? It is Sage�s optimization of graphite-to-resin ratio, which has resulted in higher density (HD) fibers which means more lightweight, stronger blanks with unmatched energy transfer and line control. It is Konnetic Technology 2.0; better, Higher-Density materials. In fact, it has the highest sectional density of any graphite fly rod. The Sage X has greater blank recovery, which allows anglers utilize more of the fly rod by accessing lower sections of the rod. This means the power and control of the cast is closer to you, which creates immense loop and line control. Furthermore, KonneticHD enhances your casting accuracy by decreasing medial and lateral vibrations (i.e. 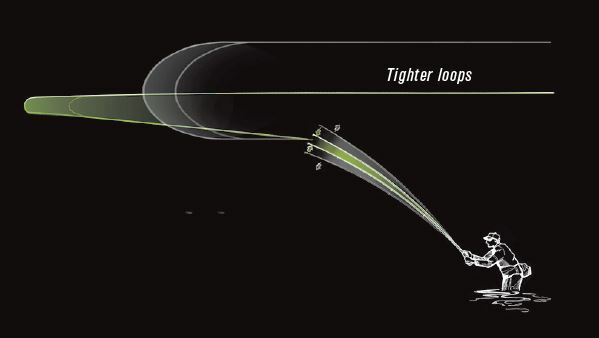 side to side movements during the cast), which means you�ll hit the exact spot you need your fly to land much easier. Sage representative George Cook describes the Sage X as a "tightly wound spring." In other words, when she wants to go, she goes. 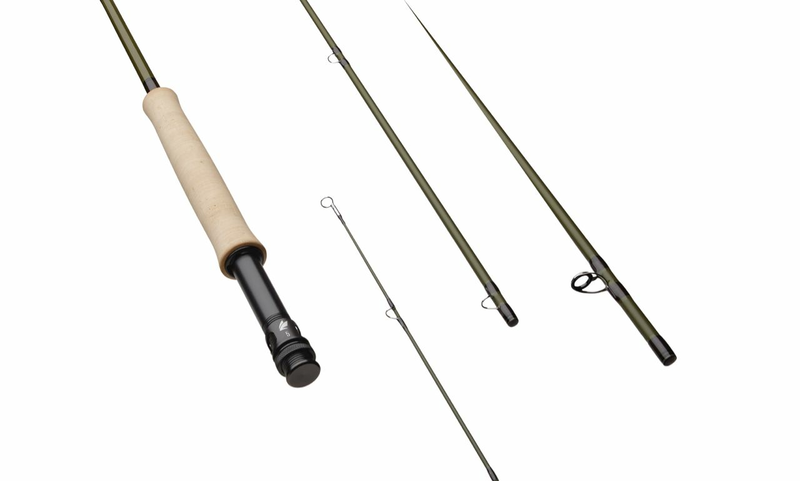 The Sage X is a fast action fly rod for both single-handed and spey models. 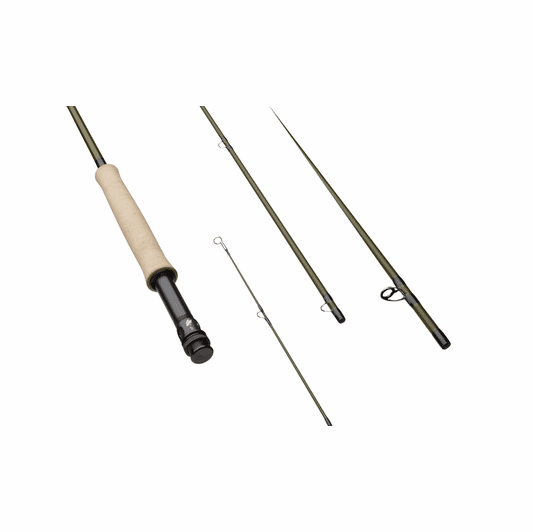 In the single-handed rods, you�ll immediately notice how this fast action fly rod has incredible recovery and a responsive tip which creates crisp stop and start motions. Jerry Stein, designer of the Sage X claims that it has "more feel than any fast action rod before." We unanimously agree. This means tight loops every single cast. The fast action of this rod also allows it to handle well in windy conditions. Due to a stiffer backbone, you can fish heavy flies, light flies, streamers, nymphs or dries with this rod and be effective. This fast action rod also gives you incredible control: you will immediately notice how you stay in contact with the line throughout the entire stroke. The action, technology, and the ability this rod gives you to cast tight loops with very little effort makes the Sage X a deadly weapon in the salt. InTouch Rio Perception is the caster's line, while InTouch Rio Gold is always a safe bet. It fishes wonderfully on these rods. InTouch Rio Grand is always a good call on fast action rods too. The important stuff: What color is it? Sage calls it Black Spruce, which is a dark green that comes out vibrantly in the sun. Also, all of the components of the rod are top-notch: ceramic Fuji stripping guides and Flor Grade Cork. 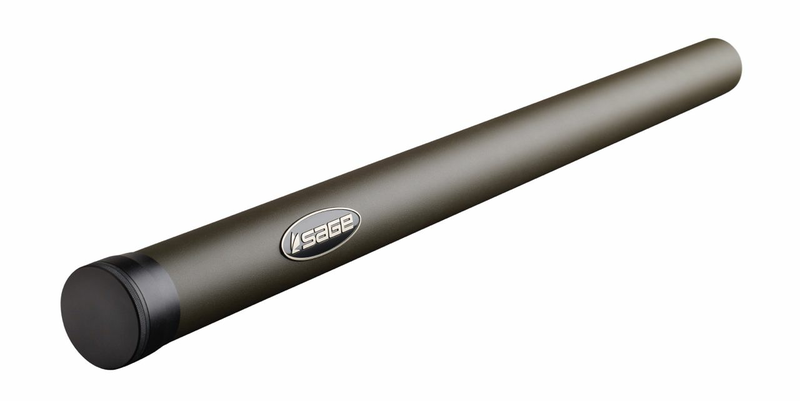 The Sage X is available in single-handed rods weighted 3-6 and saltwater rods from 5-10. See the �options� drop-down menu above for all of the available models. The Sage X is incredibly lightweight. 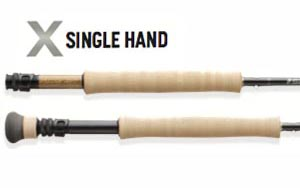 The single-handed models range anywhere from 2 1/8 ounces (3 weight) to just under 4 ounces (10 weight).